Recently three of our instructors completed the White Water Leader Training ran by Jim Gibson across at AquaPlay. 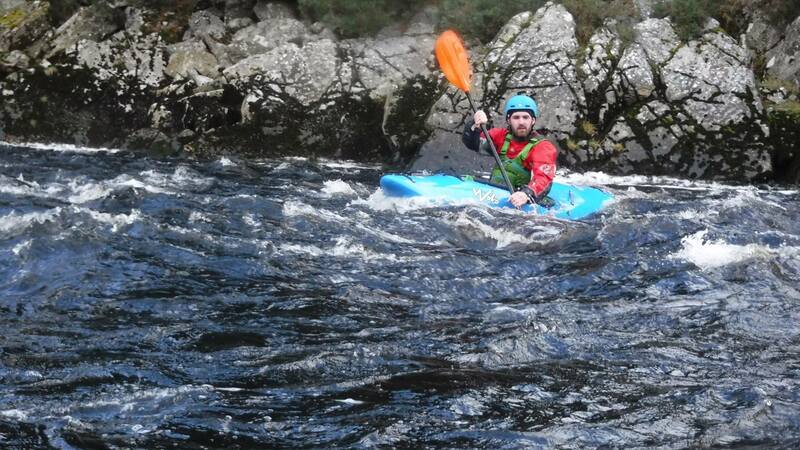 This course replaced what previously was th e BCU 4* Kayak award. 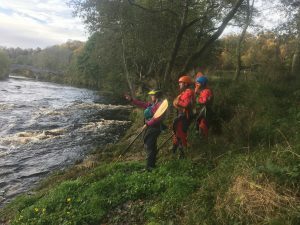 Having taken advantage of time off before the training the three had been North, South, East and West to paddle different rivers and come up with scenarios. All be it with a few swims, bruises, bumps and a broken paddle (or two) to go with it! working on personal paddling and reviewing rescue techniques! With reasonably good levels there were spots to practice surfing, ferry gliding, eddy hoping and high crosses! All about the Core Rotation! Time spent to break down rapids from different angles, perspectives and paddling ability – who knew there was so many ways to read the Knockando rapid, double figures! Rescue practice swiftly followed with all going for a swim! The imaginary pined Waka Tuna was rescued, and all 3 were rescued by one another in a variety of methods. To all paddlers – practicing rescues is important  – A lot was learned from this day. On the middle section looking at leading a group on moving water. Having run the middle section countless of times it was a great opportunity to run new lines suited to different groups and break the rapids down. It was clear the development on day 1 had sunk in as everyones’ personal paddling showed improvement. 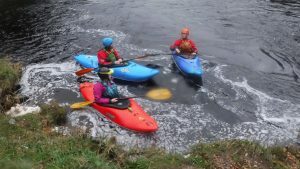 A fantastic effort put in by Rory, Ross & Emy on reading the river, picking suitable lines and ensuring group safety whist having a fun and entertaining paddle! Day 2’s point to note – less paddling is more efficient! A great two days had on the river learning new skills to move these three forward in their white water paddling! Thanks to Jim Gibson at AquaPlay for two very knowledgeable and fun days on the river. Photo credit, Jim Gibson, Aquaplay Scotland.